California requires all motorcycle riders – both drivers and passengers – to wear a helmet on a motorcycle, motor-driven cycle, or motorized bicycle. It is not even legal for a motorcycle passenger to ride with an unhelmeted driver. 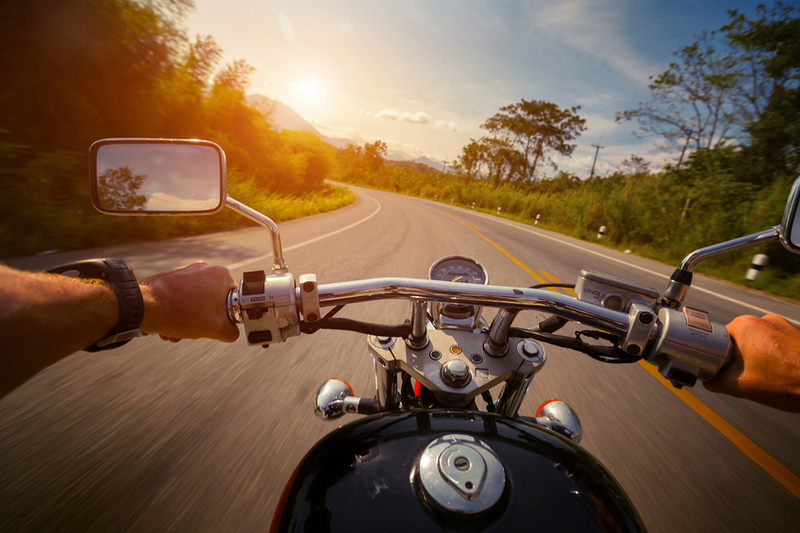 What happens if you are injured in a motorcycle accident while not wearing a helmet? You can likely still sue for damages but it may impact your financial recovery. If you are like many Los Angeles bikers, you may be tempted to feel the wind through your hair as you hit the Southern California highways. Not only is this extremely dangerous, it could reduce your settlement or verdict if you are injured in an accident. Since California follows a negligence-based theory of recovery, if a motorist is injured because of another driver’s negligence, he or she can typically hold the negligent driver liable. This means the negligent driver could be responsible for both financial and non-financial losses caused by the accident, from medical bills to lost wages, to funeral bills, and physical and emotional pain and suffering. However, California also follows comparative fault rules. If a plaintiff is partly to blame for the accident or injuries, his or her recovery is reduced in proportion to fault. Theoretically, even if a plaintiff were 99% at fault, he could recover the 1% of damages caused by the other party, though this may not be practical. Under California Vehicle Code Section 27803, riding a motorcycle without a helmet is a ticket-able offence, subject to a fine of up to $100. However, studies have found that helmets have saved the lives of thousands of people and thousands more have died because they did not wear a helmet. Clearly the cost of riding without a helmet is far more than a $100 fine. When it comes to comparative fault, the key question is whether the injured party’s actions contributed to the injury. For example, if the motorcyclist suffered a serious head injury that could have been avoided with a helmet, this will likely lead to a significant reduction in financial award. However, if the accident caused injuries such as broken bones and bruising that would not have been avoided with a helmet, there may be no finding of contributory negligence to reduce the award. If you have been involved in a motorcycle accident in CA, it likely did not take long to start receiving calls from insurance adjusters looking to make a quick, unfairly low settlement. If you were not wearing a helmet at the time, they may even tell you that you are not entitled to any money. Rather than speaking with the adjusters directly, retain a Los Angeles motorcycle accident lawyer who will handle all communications. The personal injury lawyers at the Salamati Law Firm understand the physical and financial impact of serious motorcycle accidents and always fight for full and fair compensation. Call today to schedule a free confidential consultation. California Legislative Information, Vehicle Code Article 7. Motorcycles [27800 – 27803], https://leginfo.legislature.ca.gov/faces/codes_displayText.xhtml?lawCode=VEH&division=12.&title=&part=&chapter=5.&article=7. Residents of Southern California are fortunate for many reasons. A temperate climate, fantastic beaches and spectacularly scenic roads provide ample opportunities for weekend getaways and long road trips. For avid bike owners, the Inland Empire is heaven. Whether you live in Riverside or San Bernardino County, the area is flush with amazing motorcycle rides that meander to the mountains, along the coastline and into the arid desert plains. For those looking for a scenic weekend bike trip, here are three of the best Inland Empire motorcycle rides. Big Bear is a famous destination for skiing and snowboarding, but the area has much more to offer than just winter sports. Enjoy the fresh pine scent and beautiful mountain vistas on a journey to this nature-lovers’ hotspot. If you’re heading out from San Bernardino and prefer a longer but much more scenic route, we suggest taking highway 330 to the 18. You’ll go by Snow Valley Ski Resort and a couple of picture-worthy peaks en route. While the trip clocks in at 41 miles, allow yourself close to two hours to reach Big Bear lake. The switchback roads will slow you down, but the landscapes make this jaunt well-worth the effort. Stop into Chad’s Place for a bite to eat – a local favorite. Idyllwild is tucked in the Jacinto Mountains and is renowned for its hiking, mountain biking and camping opportunities. If you’re eager to escape the hustle and bustle of city life, and gaze upon towering pines and giant cedars, this road trip is just for you. Take highway 10 East from Riverside until you reach the 234. Continue south on the winding road, taking care on those tight turns. The trip is just under 60 miles from San Bernardino (roughly an hour and 15 minutes on the bike) and makes for an easy half-day trip. Idyllwild still charms visitors with its cozy hometown atmosphere and has a nice selection of dining options. Check out Café Aroma, the Red Kettle or Jo’ans Restaurant & Bar. All good choices for a relaxing lunch. This desert resort city in Riverside County is praised for its spas, hot springs and championship golf. But veteran bikers know Palm Springs also makes for a fun desert road trip. Take the 10 East and make a loop around Palm Springs by taking highway 111. This picturesque route will pass by Palm Desert and Cathedral City, where you’ll find the Living Desert and Zoo, among other cool attractions. A bit farther on and you’ll reach Indio, CA home to the Fantasy Springs Casino. This motorcycle ride should take you about 90 minutes one-way from Riverside. Attorney Sean Salamati is an advocate for motorcyclists in California and is also a seasoned litigator when it comes to protecting clients’ rights. From experience, we know that many motorcycle accidents are caused by other motorists who fail to see them. Be alert, wear your helmet and drive defensively. And if you need expert legal guidance, be sure to reach out to Los Angeles motorcycle accident lawyer Sean Salamati Law for a free consultation. If you need assistance filing a claim or dealing with insurance adjustors after a crash, please call our L.A. personal injury law office today. Southern California has some of the finest weather and most spectacular routes for motorcycle riding. From rugged canyon roads to stunning coastal stretches, the Golden State is the place to be. After a long day on the road, there are plenty of popular spots where bikers can fuel up on hearty fare and whet their whistles. Here’s a roundup of some the best motorcycle hangouts in and around Los Angeles. The Rocks Store is unquestionably SoCal’s most famous motorcycle hangout. Renowned for its homestyle cooking, amazing location and sense of community, this place is where bikers of all ages and creeds come to talk shop, swap stories, people watch and chow down. The ride up to Mulholland Drive is tight and twisting, with panoramic Pacific Ocean views. You may bump into Jay Leno and other Hollywood elite, and this landmark pitstop has been featured in many movies, TV commercials and videos. Open Fridays, Saturdays and Sundays, the Rock Store is where Harley guys rub elbows with the sportbike crowd over cheeseburgers and cold drinks. Get the best burger in Orange County at this biker-friendly joint. Original Mike’s is located on the corner of Main and First streets in downtown Santa Ana and is owned by legendary biker Mike Harrah. There are classic cars on display and Harley Davidsons hanging from the ceilings, and the menu features classic American comfort food. Original Mikes has three stages for live entertainment, jumbo flat screen TVs, dance floors, an outdoor patio and hosts special bike nights and other events. When it comes to biker hangouts in Southern California, Cook’s Corner is top on the list. Situated in Trabuco Canyon, this iconic roadhouse had humble beginnings as an eatery for local ranchers and miners. Over the years, the place evolved into the epic biker bar it is today. On any given weekend, this place is packed with riders coming for good food and a great party scene. Cooks serves standard road fare and has an atmosphere that oozes authenticity. The ride to get to Trabuco Canyon makes this a destination in and of itself. Tumbleweeds ticks all the right boxes for a great biker hangout. Juicy burgers. Live music. Darts. Pool. Giant TVs streaming live sports. Most importantly, it has a biker-friendly fun crowd. If you ever find yourself near Huntington Beach, stop in for a bite to eat and check out their events calendar for Blues Jams and performances by local rock bands. The Salamati Law Firm is a strong supporter of motorcyclists in Southern California. Leveraging more than 20 years of expertise in personal injury law, we’ve helped countless bikers recover monetary damages in serious accident claims. If you need legal representation of the highest caliber, reach out for a free consultation with a Los Angeles motorcycle accident lawyer who gets results. Call our law offices any time. It’s a good idea to take a motorcycle driver’s education class as part of your journey toward being a motorcyclist. It’s a good idea to take a motorcycle driver’s education class as part of your journey toward being a motorcyclist. But even so, there are common mistakes that motorcyclists make that imperil their safety on California’s — and the nation’s — roads. The more you avoid these mistakes, the safer you’ll be. Always remember that you are far more vulnerable riding a motorcycle than you are in a car, for several reasons. First, and most obvious, you don’t have the protection of several tons of metal and seat belts, like cars do. Second, car drivers don’t “see” motorcycles in the way that they do other cars. They pull out in front of you, crowd you from behind, change lanes, and may even open doors as you’re driving down the street. Any of these moves can injure you, or even be fatal. Third, obstacles that are no problem for a car, just as a spray of gravel or potholes, can cause severe motorcycle accidents. The best defense against accidents like this? Pay close attention to the road. Know what drivers around you are doing — and operate your motorcycle defensively for what they may do. It can be very tempting to enjoy gazing around while you’re driving a motorcycle. Don’t do it. It’s a lot of fun to take your significant other or a new date out on your motorcycle. But it can also pose a danger to both of you. Why? Because riding with a passenger behind you is really different from riding by yourself. The weight and balance are different. Your ability to pay attention are different. It’s a good idea to hold off until you have had plenty of experience riding by yourself. Not only is that a good idea, but it’s also wise to practice with a passenger in a large parking lot or quiet street until you are thoroughly comfortable with it. Beginning riders need practice calculating how much to release the clutch and give it throttle. Too much will stall the bike, and so will not enough. A large parking lot is also a good place to practice before you head into traffic. In an accident between a car or other vehicle and a motorcycle, the larger vehicle is often at fault. But because motorcycle accidents are potentially so severe and possibly long-lasting or permanent, insurance companies may try to low-ball you on the settlement, or even blame you. Having a lawyer negotiate on your behalf is a wise move in case of an accident. If you need an experienced motorcycle accident lawyer in the Los Angeles region, contact us today. The Salamati Law Firm has an excellent record of obtaining justice for clients in motorcycle accidents throughout Southern California. We will provide a consultation at no charge. Payment will come from any final jury award or settlement amount. 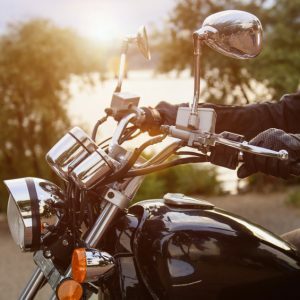 Can I Recover Damages if I Wasn’t Wearing a Motorcycle Helmet? California is the top state when it comes to motorcyclists. According to World Atlas, there are approximately 800,000 motorcycles registered here – at least 200,000 more than in any other state. For bikers and other motorists, this means accidents are more common and the CA legislature has adopted laws to minimize damage. Under California law, anyone riding a motorcycle must wear a helmet. What happens if you were not in compliance with the state helmet law when you were injured in a motorcycle crash? It depends on the circumstances. Those who are injured by another person’s negligence are entitled to receive compensation for their injuries. This means if you were operating a motorcycle and were struck by the negligent driver of another vehicle, that driver would likely be liable for your injuries. However, the amount that you are allowed to recover can be reduced in proportion to your own negligence. If you suffered a head injury in a motorcycle crash in which you were not wearing a helmet, the other driver may be able to argue that the injury would have been prevented if only you had complied with the helmet law. On the other hand, if your injuries were strictly to limbs or other parts of your body that do not affect your head or neck, a helmet still would not have kept you safe so there may not be a reduction in recovery. It is not easy to guess what your chances of recovery will be in a personal injury lawsuit. Instead, speak with an experienced attorney who handles the specific type of case in order to receive an informed opinion. Traumatic brain injury (TBI) occurs when someone experiences a bump or blow to the head that causes an internal injury. TBIs are the leading cause of accidental deaths and motorcycle accidents are the number 2 cause of TBIs in the United States. Sadly, according to national statistics, more than half of all motorcyclists who are admitted to the emergency room with a TBI do not survive the accident. In some cases, a non-fatal TBI is immediately apparent, but in others it can go undetected while still causing impairment. Additionally, many TBI victims do not follow through with aftercare, increasing the likelihood of complications. A TBI can cost a victim multiple times over, from the initial medical bills to lost wages. When it can be shown that the injuries were caused by someone else’s negligence, that person may be liable under California law. If you suffered a TBI or other injury in a motorcycle accident, regardless of whether you were wearing a helmet, speak with a LA motorcycle accident lawyer to find out about your rights. Attorney Sean Salamati fights for the rights of accident victims throughout Southern California and can help you understand your legal options. Call today to schedule a free confidential consultation. California Legislative Information, California Vehicle Code Section 27803, https://leginfo.legislature.ca.gov/faces/codes_displayText.xhtml?lawCode=VEH&division=12.&title=&part=&chapter=5.&article=7. As Baby Boomers approach retirement age, the average age of motorcycle riders has risen. In 2001, the average age of American bikers was 40. By 2010, the average age had climbed to 49. But it is not just that the biker population is aging – in 2009, more than 10% of new riders were over the age of 50. It is important for seniors to buy the right bike for them in order to stay safe on our California roads. A couple extra decades of life experienced comes with many advantages – many new riders are retired professionals and others who find they finally have the time and money to invest in a quality bike. And of course, age brings maturity and focus. Unfortunately, age also increases the likelihood of injury, as well as healing time. Older riders need to take these factors into account when choosing a motorcycle. According to emergency room doctors, seniors are more likely to be seriously injured or die in a bike crash compared to younger riders and the numbers have been rising. For example, from 1996 to 2005, the proportion of bikers over the age of 40 involved in crashes rose from 28% to about 50%. Riders in the 50-59 age group have been the fastest-growing group to suffer motorcycle injuries. Notably, helmet and alcohol usage were consistent across age groups. Your height and weight. Remember these may have changed over the years. Whatever your current stats are, you need to be able to reach all controls and put at least one foot on the ground when stopped. Ability to control a heavy bike. As you rack up birthdays, it will likely become more difficult to maneuver a large bike. Consider a lighter weight in order to maintain control of your bike on the road. Experience level. Newer riders may have a better experience with a lighter bike while learning to ride. For more experienced riders, larger touring bikes tend to be more comfortable. Where and how you plan to ride. Take an honest assessment of where you think you will ride. Cities? Recreational trails? Long distances on the highway? There are bikes suitable for each of these but they may not all be right for you. Preparing for a safe ride is the first step to preventing a motorcycle accident. If you are injured in an accident, speak with LA motorcycle accident lawyer Sean Salamati as soon as possible. Sean is dedicated to serving personal injury victims throughout Southern California. Call today to schedule a free and confidential consultation. Motorcycles fulfill a rider’s dreams of speeding through open landscapes on a machine that appeals to primal emotions. Those dreams can quickly give way to harsh realities if the rider has not selected a reliable bike or if the bike does not match the kind of riding that the owner expects. Both novice and experienced riders can let their emotions overwhelm their common sense when they set out to buy a motorcycle. 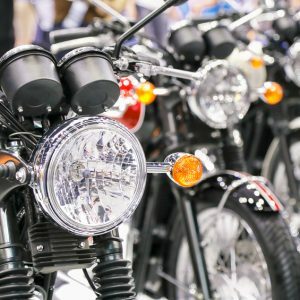 After many years of providing legal representation for motorcycle riders in and around Los Angeles, the lawyers at The Salamati Law Firm believe that the best buying decisions will be based on choosing a bike that has strong performance and reliability ratings, and on matching the style of the bike with how it will be used. There are as many different styles of motorcycles as there are variations among passenger cars and trucks. Cruisers embody the most classic styling, with lower seats and centers of gravity and engine/clutch/throttle configurations that are tuned to be more forgiving. Standard motorcycles attempt to be all things to all riders. They offer more neutral riding positions and are available with a broad range of engine sizes and power ratings. Sport Bikes have the most impactful visual appeal with colors and fairings that make them look fast, even when standing still. Sport Bikes are lighter in weight and are typically tuned to generate power very quickly, which can make them more difficult to handle. Dual Sport Bikes offer a bridge between smaller dirt bikes that many young riders use for learning to ride. They offer higher riding positions and better ground clearance for trail riding, and generally have a more rugged appearance. Adventure Touring Bikes are built for riding over long distances. They are among the most expensive motorcycles and appeal to more seasoned riders who need luggage capacity and comfort. Scooters are the simplest and least expensive category of motor-powered bikes. They are ideal for urban riding over short distances. More than fifty different companies manufacture motorcycles around the globe, but the same 5 brands appear as best sellers year after year. This list is not an endorsement of any specific brand. Rather, it reflects the popular decisions that many riders have made for different styles of motorcycles. Harley-Davidson makes one of the most popular cruisers with a low slung seat, V-shaped engine, and guttural roar that the company has long been known for. Harley riders often remark that the company’s bikes offer the most authentic motorcycle sensation of any bike on the market. Kawasaki offers a number of lower-cost dual sport bikes that appeal to riders who want a bike with manageable power and easier handling. Yamaha receives consistently strong reviews for its super sport bikes that test the abilities of even the most skilled riders. Honda maintains its reputation for reliability and performance across a range of different motorcycle styles, from cruisers and standard motorcycles to high-end touring bikes. BMW and Triumph also offer reliable bikes that appeal to riders who appreciate European engineering and styling. 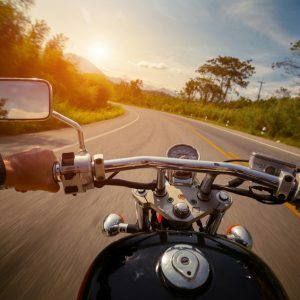 The attorneys at The Salamati Law Firm in Los Angeles respect the culture shared by the riders of the more than 800,000 motorcycles that are registered in California. We also fight to recover the highest damages awards to help riders get back on their bikes when they have been injured in accidents caused by negligent drivers. Please call our office to consult with Los Angeles motorcycle accident lawyer Sean Salamati if you have been injured in a motorcycle accident in southern California. There are more than 8 million registered motorcycles in the United States, and anyone who has felt the freedom of open road on a bike understands the attraction. Motorcycles offer less protection to riders than passenger cars or larger vehicles, so it is important to ride the right bike for you. Here are some signs that it may be time to upgrade your motorcycle or replace some parts. Do I need a new motorcycle? You are ready for a larger bike. Lighter weight motorcycles are appropriate for novice riders because they provide for easier control. The lower height of a smaller bike’s seat also helps a beginner’s balance when stopping. If you have mastered steering, braking, and balancing, and are looking for more power, consider a larger option. Your older bike does not have anti-lock brakes. In recent years, more and more bikes have hit the market with ABS. Statistics show that bikes with ABS brakes are 37% less likely to be involved in a fatal crash. Your use has changed. If you have outgrown your off-road days and now prefer long-road riding, it may be time to upgrade to a touring bike with features like a larger fuel storage capacity and more luggage space. Maybe you find yourself drawn to the social aspects of riding; it may be time to invest in a cruising bike from a recognized manufacturer. Your finances have changed. A higher-profile custom bike is going to cost quite a bit more than a beginner-friendly moped. If you find your financial situation improving along with your riding experience, it may be time to invest in a larger bike. Even if it is not time to replace your motorcycle, it is time to take a look at its components and gear to make sure they are in safe condition. Inspect your bike and equipment regularly for damage or signs of wear – here are some places to start. Tires. Tires are literally your bike’s connection with the road. Check for wear, physical damage, and proper inflation. Chain. If you cannot get the chain tension correct, it may be a better use of time and money to replace it. An incorrectly adjusted chain can break on the road or hit the chassis. Helmet. Riders who skip helmets are 3 times as likely to suffer brain damage and 40% more likely to sustain a fatal head injury than riders wearing helmets. Generally, helmets can last about five years with proper care, but inspect the outer shell for damage. Be aware that damage to the absorbent material inside may not show that it is compromised, so you may be better off replacing it if it may have been damaged. These tips are intended to help you ride safely. Unfortunately, no one can control other drivers on the road and motorcycles bear the brunt of other drivers’ negligence. If you suffer injuries in a motorcycle accident in California, speak with Los Angeles motorcycle accident lawyer Sean Salamati to find out how to protect your rights. Call us today for a free consultation. In the aftermath of a motorcycle accident, injured riders are confronted with challenging questions concerning medical bills, liability for the accident, and what role the insurance companies will play in covering their costs. Here are two significant insurance issues faced by motorcycle accident victims after a crash. Reagrding motorcycle crashes, California is a tort liability state. In other words, insurance companies pay out claims depending on who was at fault in the accident. If a car changed lanes, didn’t see you on your motorcycle, and collided with you, they are likely 100% at fault, and your claims will be paid by the car driver’s insurance company. If you skidded in the rain, you are likely 100% at fault and your insurance will pay. Fault can also be divided, if two or more parties were at fault. If, for example, a car collided with you, but you weren’t wearing a helmet, a court may find that you are partly at fault for certain injuries you sustained. California law requires motorcyclists to wear a helmet, which have been demonstrated to lower the risk of injuries and deaths. Insurance companies pay depending on who was at fault. This may be clear cut, but it also may be subject to dispute. What if the driver of a car who hit you claims that you swerved into his lane, and he didn’t have time or space to brake, for example? Disputes happen in traffic accidents all the time, and motorcycle collisions are no exception. It’s important, then, to have records of what happened. Take pictures of the scene and any injuries or damages to property. If you have a smartphone, use the camera. Take multiple shots, both from a distance and up-close, of damage or injuries. Remember, cuts and bruises fade. It’s important to take pictures as soon as you are safe. Call the police. Police will interview the parties and write up an official report about what they found. If the case goes to court, the police report can be evidence about what happened. Take notes. Jot down how fast you were going, what the weather conditions were like, and what occurred. Don’t rely on your memory. As soon as you are out of danger, safe, and have been cared for medically, make your record. 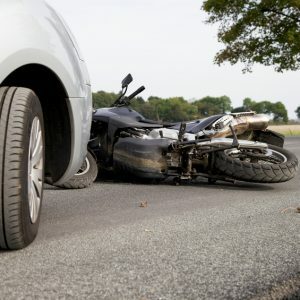 To make sure you take full advantage of your legal rights to monetary compensation after a road accident in southern California, contact Los Angeles motorcycle accident attorney Sean Salamati. If you anticipate having difficulties getting payment for insurance claims, or the other parties are claiming you were at fault, you need a lawyer who is skilled in negotiation strategy and has the track record to prove it. Don’t settle for anything less than you have a legal right to! If you or a loved one been injured or killed in a motorcycle accident, let The Salamati Law Firm help. Call us today! We will provide a complimentary consultation about your case. We charge no fees whatsoever unless we take on your case and win! Cruising on a motorcycle provides an unparalleled thrill and part of that experience is, as a driver or passenger, being one with the wind. On the flip side, motorcycle riders are relatively unprotected. The result is that motorcyclists are 29 times more likely to die in an accident than their counterparts in automobiles. Studies show that a motorcycle helmet is a crucial factor in reducing the likelihood of a fatality. Motorcycle accidents claim nearly 5,000 lives each year, but federal statistics are clear: riders who wear helmets are less likely to die in a crash. 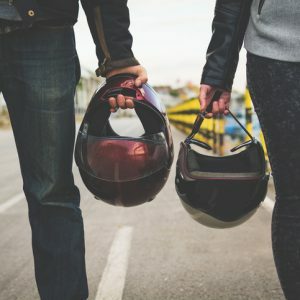 Studies comparing states with helmet laws to those that do not show that there are roughly 37% more motorcycle fatalities in the absence of helmet laws. In order to reap the benefits, it is important to choose the best motorcycle helmet for you. First, be sure the helmet fits properly. Be sure you can try it on, preferably in-store before you buy. If you buy online, make sure the store accepts returns without a fight, and consider ordering several sizes right off the bat. Next, make sure the helmet provides full protection without impairing your vision. Some styles may offer a slimmer, more stylish profile, but it is at the sacrifice of safety. Finally, be sure to look for a helmet that meets the U.S. Department of Transportation (DOT) Federal Motor Vehicle Safety Standard (FMVSS) 218. If it does, there will be a DOT symbol on the outside rear of the helmet, as well as a permanent label inside that identifies the manufacturer and provides instruction for care and use. If the helmet meets the federal standard, it should weigh about three pounds and have a sturdy chin strap and thick foam lining. A certified helmet may or may not include a face shield; if it does not, always wear goggles to protect your eyes, because glasses are inadequate and can fall off. Even when the injuries are not fatal, they can lead to long-term disability or impairment. A motorcycle accident can cause physical, emotional, and financial distress for victims and their families. If you were involved in a motorcycle accident and believe another driver was at fault, you may be entitled to compensation that can help you meet the financial burdens caused by the crash. A settlement or court award can help pay past and future medical bills and lost wages, and provide compensation for disability, emotional distress, and pain and suffering. If you or a loved one has been been injured in a motorcycle accident, call today to speak with a Los Angeles motorcycle accident lawyer at the Salamati Law Firm. We fight for the rights of those injured as the result of someone else’s carelessness.